Cracked neckboards are super repairable. You should be able to get it up and running no problem if that's the only issue . That's good to hear. The monitor is so clean inside, and I see lots of promising things on-screen when I fire it up. So I'm pretty hopeful that's all it needs. If I could only get the damn screws out. Try a few different screw drivers, they might all seem the same but you will find that some grip the screws better than others. That's what I had to do and out of all my phillips head screwdrivers only one of them was able to grip the screws well enough to easily turn them. If the odd one or two are really stubborn then a pair of pipe grips from the side should work also. Thanks. Yeah I tried about 4 screwdrivers til I found one that gripped, but am still having trouble with some of them. I'm going to borrow my Dad's portable impact wrench and see if that will be a good fit without rattling the whole monitor apart. I was also thinking of maybe slotting the screws so I can get more torque with a flat-head, and then just finding replacements later. I dunno. PS2, if you can get a cable that does Sunc On Luma and a sync stripper circuit, you can set it to output RGB. Just bear in mind, the PS2 uses Sync on green for games that support 480p or higher. As long as you have the dip switch set to automatic sync detection it should work no problem. Indeed it should. Still find it unusual my Extron RGB202 Plus makes video-as-sync and Sunc on Luma work on this monitor? I don't know anything about the RGB202 Plus. Just a couple of quick questions on these NEC monitors. I heard someone say that the XP37 doesn't accept 240p RGB? When I look through the posts here I see no mention of that. I know these NECs require a specific cable for some kinds of RGB input, I mainly use a CRT-Emudriver 15khz emulator PC. Could I just feed in 240p RGB via the dsub or do I need to go through RGBS bnc inputs with the sync stripper cable inbetween? Some NEC XM/P 37" model's don't accept a 15KHz native signal. Not yet, speculative question, but do you have a list of the ones that do - don't? 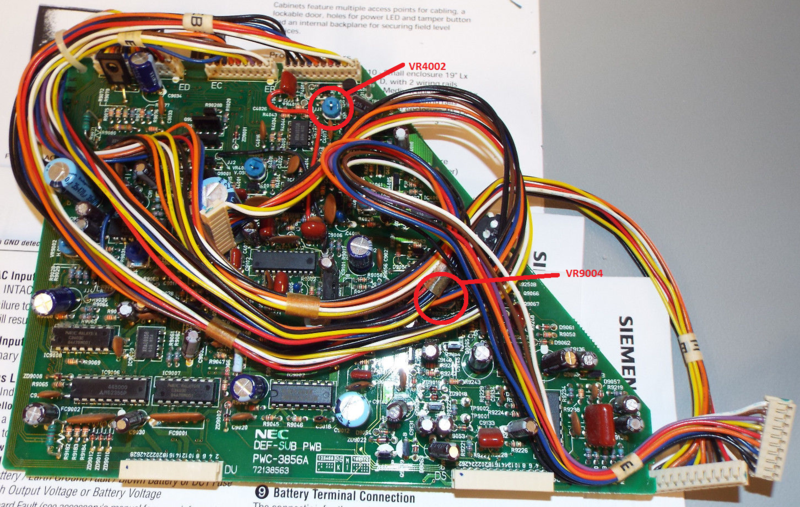 The XM-3750 and XP-3778 models will not accept a 15KHz signal via the RGB inputs. Hi all, this has been discussed before but it didn't seem to go anywhere. I'm trying to figure out if there is a way to increase the width/height amplitude on the xm29 so that I can fill the entire screen with consoles like Dreamcast and PS2. Below is a picture of PS2 running in 480p with a black border all around, that is as far as I can stretch the image. Reading through this thread, Hoagtech mentioned fixing the same issue on his Mitsubishi monitor by adjusting the SUB width in the service menu. SpiderWaffle said "There is most likely a pot that will do large scale H-size adjustment. The tech that set that up that monitor and adjusted that pot probably set it to ~90% (or slightly less) like the XM/XP manuals say to do; and with difference signal source parameters it will change a fair amount on these NEC, they seems more susceptible to difference signal source parameters than most CRTs." Calling all xm29 owners to see if we can get our heads together and tackle this issue! Is there any way to get 15khz RGB into them? Is it just the BNC inputs or is there no way to get it in? Does the G make any difference? XM3750G? It will be listed on the back of the monitor. Not without upscaling the signal. Some people have tried the 120Hz trick using a Mame PC and that has provided scanlines. I believe 15KHz singals on the composite and s-video inputs is just line doubled or upscaled to 31KHz. The "G" designates that it is for a different region (usually Europe), so usually has a different tube to compensate for the hemisphere and sometimes different power input e.g. 220V. XM37 Xtra = XM-3761. The XM-3761 will accept a native 15KHz signal via the BNC RGB inputs without issue. With horizontal width set to maximum, adjust pot VR9004 on the "DEF-SUB PWB" PCB until you get the desired width. With vertical height set to maximum, adjust pot VR4002 on the "DEF-SUB PWB" PCB until you get the desired height. Wow thanks I have to try this! Are there any side effects to doing this and can you point me in the right direction to locating the def sub board? As long as you note the positions of the pots before you adjust them (perhaps with a permanent marker), then you can always return them to their original position if it causes an issue. You may get side pincushion distortion when adjusting the horizontal width. If so, that will need to be adjusted too. Could you please describe the '120hz' trick, is that like running a custom 240p resolution at 120fps? So even 15khz images on the composite / s-video wont have scanlines when upscaled? Is that the same thing as 100khz upscaling some TVs do? Yes, the 120Hz trick indeed does involve that. Emulators like GroovyMAME and RetroArch are capable of running in this manner. Though I can say sometimes the image is a good bit brighter than a proper 15KHz one. You'll need to either make custom resolutions and refresh rates (important, since some arcade games, and some home consoles/computers can run at lower or slightly-higher than 60Hz), or have a compatible Radeon card and the CRTEmu Drivers. Interesting, thanks, I will look into this. Congrats XGA And xm29 owners. You guys finally are able to adjust for full screen. This is huge for NEC owners. I am now on the hunt for an NEC. I want to confirm that these adjustments do work! I just tried it on my XM-2950 and I extremely excited to finally be able to have more wiggle room for h/v amplitude adjustment. Thanks xga! BTW, do you have any other adjustments/documentation for the XM-29 you can share with us? I've recently started collecting the necessary equipment to connect my consoles to my NEC XM29 Xtra with RGB. My Saturn, Super Nintendo and PS2 work fine with RGB. My PSOne and Genesis Model 1 and Model 2 have sync issues. Which from my research appears to be expected with the NEC 29/37 line. My PVM 1354Q has no sync issues with either console and I don't need the PA 250 either. Unfortunately, it doesn't fix the sync issues on the Genesis Model 1 or 2. I've tried random DIP switches on the monitor and the PA 250. I'm thinking the low-budget SCART switch may be the issue. In the beginning of the gaming session, the Genesis picture appears normal but then starts to degrade into rolling vertical lines. I can't believe I've lurked here for more than a decade and haven't created an account for the forum. Just looked into my xm2950 to adjust both vertical and horizontal height. Remove the fan that is in the way and there’s plenty of space. The fan is held in place by a thumb screw and the bracket slides out once that is removed. Just move it out of the way and keep it connected. Take a pic of the rear without the cover I meant to do that but forgot!